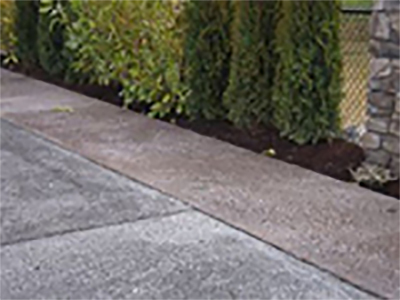 PCI is the only company in the Pacific Northwest specializing exclusively in pervious concrete. We have installed over 500,000 sq. ft. of pervious concrete. 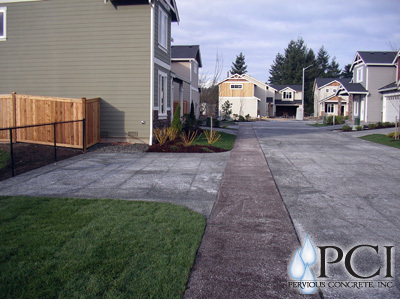 Pervious concrete eliminates stormwater detention structures and can return valuable lots to the developer. Getting those lots back can oftentimes pay for the entire pervious system. Environmentally, it makes good sense to let rainwater directly recharge our groundwater. Pervious can mitigate “first flush” pollution and protects our streams, watersheds and ecosystems. Pervious does not get as hot as standard cement and asphalt. From every viewpoint — dollars, aesthetics, environment, and performance — pervious concrete makes good sense. Costs are coming down, acceptance is rising, and it is expected we are going to see a lot more of this smart stormwater solution. © 2019 Pervious Concrete, Inc.